Since I bought my first retired board ( A Federal in 1964) I have restored, demolished or somewhere in between - a console every year of my life. (Or so it seems). 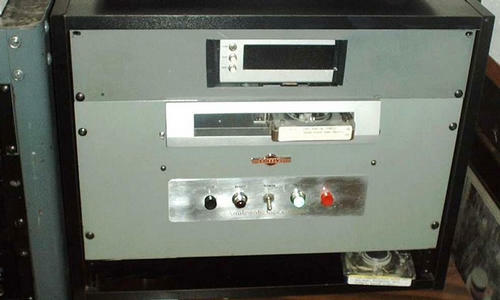 I am really bad to modify older consoles to make them more user friendly, this one was intact electrically, no extra holes in it, so I brought it back just like it left 123 Hampshire Street about 45 years ago. This one I did not leave stock. I bought two of these in a radio station storage room "everything goes" purchase. I decided to make one stereo for my needs. 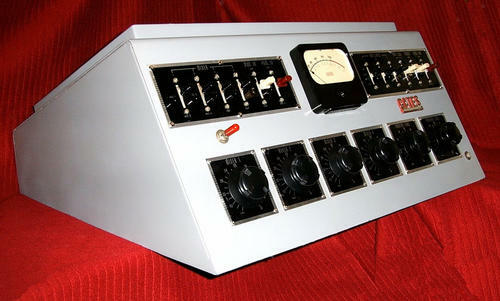 I put OPAMP Labs works in it, and sold the tube guts on Ebay to finance the project. 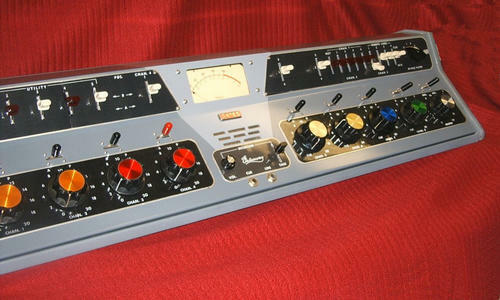 The second model of the famed Gates STUDIOETTE, (the first was a rack cabinet model) this 52CS had been scratched up pretty bad. I repainted it, cleaned up the knobs and plates, added two more mixers (where the Monitor & Program gain pots had been) and rescaled the VU meter (it had faded badly). I did this one for customer in Florida who used to work with one way back when. 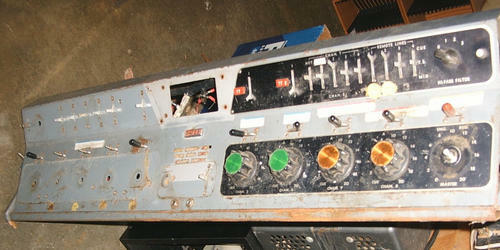 The original device was built in Bloomington Il by a couple of radio station engineers. Man, what they started. 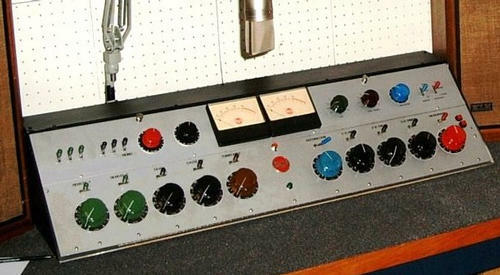 This was my personal custom console made from RCA parts and a one-off cabinet. The silver panel is the lower half of an RCA BC-7 flipped over, and I added two Simpson Wide Vue meters where the cue speaker should be. 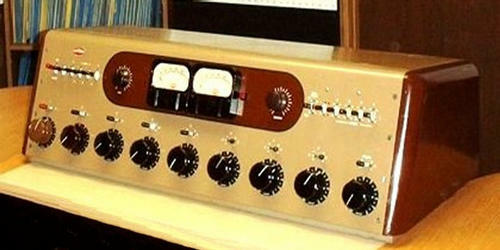 Once again OPAMP Labs amplifiers. Is it junk or priceless?